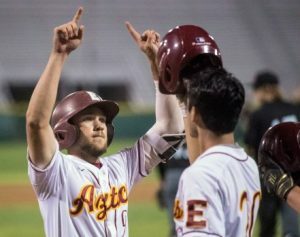 Esperanza’s Jason Fox, left, celebrates his two-run homer with Kyle Kirk during the Lions Tournament championship game against Tustin at La Palma Park in Anaheim on Wednesday, March 28, 2018. 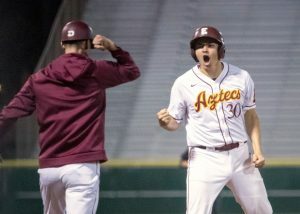 Esperanza’s Tony Accordino, right, celebrates his triple during the Lions Tournament championship game against Tustin at La Palma Park in Anaheim on Wednesday, March 28, 2018. 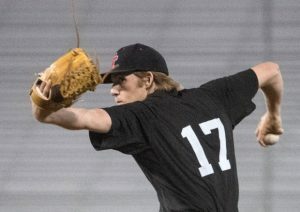 Tustin’s Kyle Hoskins delivers a pitch during the Lions Tournament championship game against Esperanza at La Palma Park in Anaheim on Wednesday, March 28, 2018. 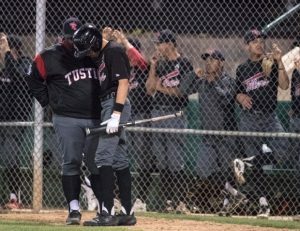 Tustin head coach Charles Chatman gives instructions to Matthew Olivares during the Lions Tournament championship game against Esperanza at La Palma Park in Anaheim on Wednesday, March 28, 2018. 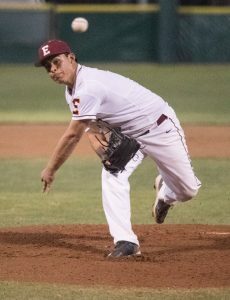 Esperanza’s Jacob Cespedes throws a pitch during the Lions Tournament championship game against Tustin at La Palma Park in Anaheim on Wednesday, March 28, 2018. 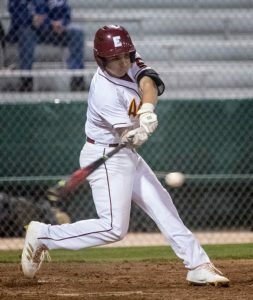 Esperanza’s Davis Hildebrandt drives a RBI single during the Lions Tournament championship game against Tustin at La Palma Park in Anaheim on Wednesday, March 28, 2018. 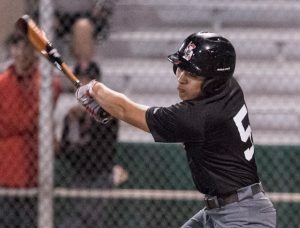 Tustin’s Michael Toledo drives a RBI single during the Lions Tournament championship game against Esperanza at La Palma Park in Anaheim on Wednesday, March 28, 2018.